4-Chlorodehydromethyltestosterone is an oral anabolic steroid that has a predominantly anabolic effect combined with a relatively low androgenic component. Turinabol does not provoke a rapid gain in strength, weight or muscle mass. The major effect is a solid muscle gain and good strength gain, if taken several weeks. Still it is not recommended to use it longer than 6 weeks. Because 4-Chlorodehydromethyltestosterone is 4-chloro alteration Turinabol does not interact with aromatase enzyme, thus it does not cause major estrogenic side effects. 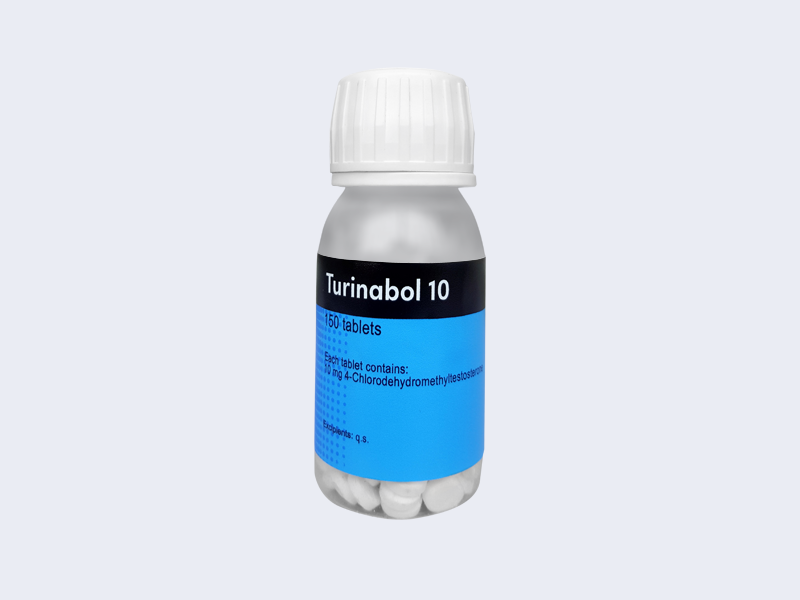 Turinabol is 17-alpha alkylated, thus it is necessary to use along with it liver support supplements.